Camarasaurus Skull. Camarasaurus Lentis. 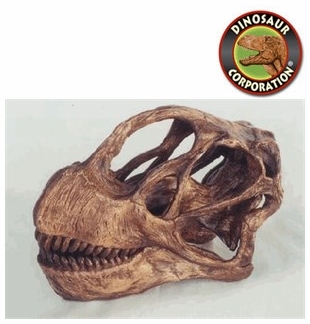 Lived in the Late Jurassic Period, between 155 and 145 million years ago. The complete skeleton was found in Morrison Formation - Colorado, Utah, Wyoming and New Mexico, USA. Camarasaurus was a genus of quadrupedal, herbivorous dinosaurs. It was the most common of the giant sauropods to be found in North America but only average in size: about 18 meters (60 feet) in length as adults, and weighing up to 18 tones (19.8 tons).